Our client, DarmaPlant, is in the business of selling high quality herbal products and needed a convincing poster that they can distribute to drugstores all around the country. 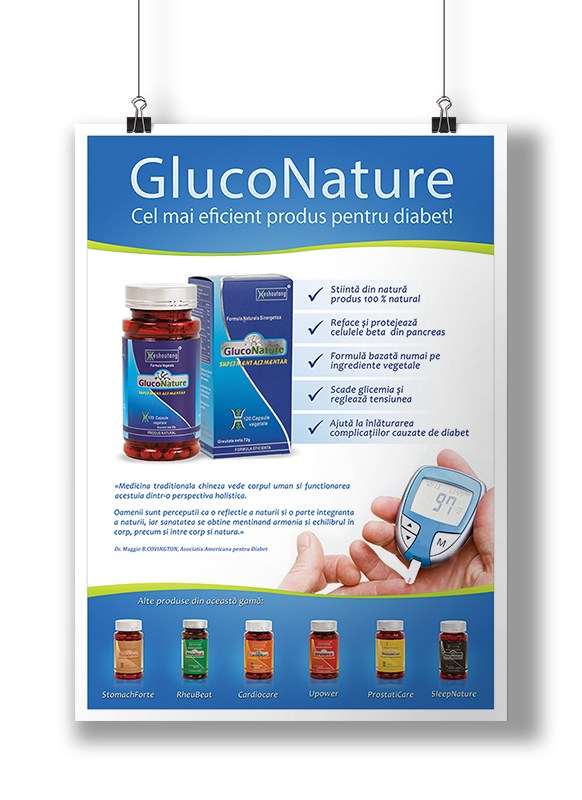 The product they wanted to advertise was called “GlucoNature” They wanted something catchy, something that sells – product awareness is extremely important and our work needed to have impact! We also took care of the product photography for them.